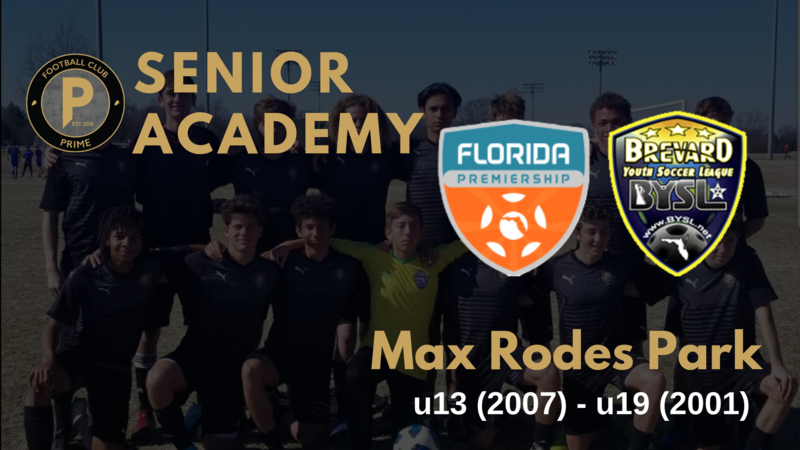 Showcase (u13-u19) | Football Club Prime Inc.
Monday May 6th - All sites combined tryout Boys and Girls @ Max Rodes Park, Melbourne. Note: Upon team formation training site will be confirmed based on logistics for player pool. FC Prime and Brevard Soccer Alliance have partnered to greater serve the needs of players looking to compete on the State and Regional level. The Showcase platform and format was designed collectively by coaching directors from some of the most respected youth clubs in the country, and emphasis has been placed on providing an everyday training environment conducive to promoting player development. We believe Brevard County deserves a high level program with the chance to compete among some of the best clubs in the country.